Tillie Tillie Swatch and More... - Polish Etc. 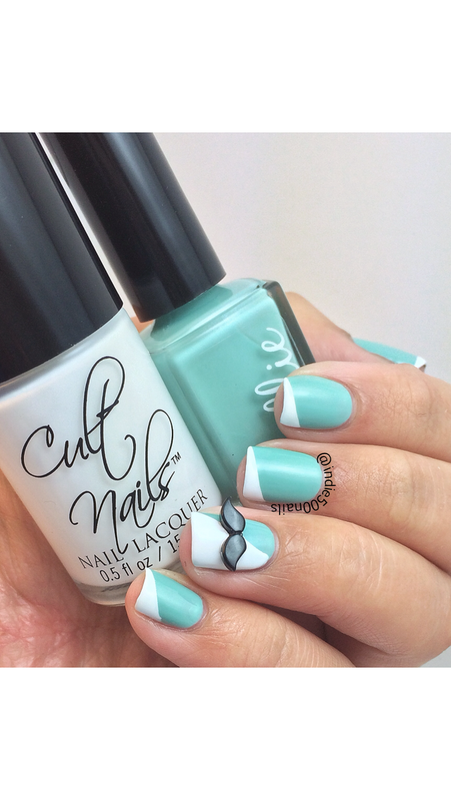 I did a tape mani tonight and just couldn't shave it for later. I started off with a base of Tillie Polish Tillie, an absolutely lovely mint polish with a gorgeously subtle silver shimmer. Like all of the best shimmers, it demonstrates an absolute refusal to photograph accurately. Always the sign of a great polish (or a bad photographer....oops!). Without further ado, I give you swatch pics! Each photo shows two coats of Tillie with topcoat. The formula on this one was a bit different than the other Tillies I've tried. It was a little thinner than their other offerings, but I had no application issues. No issues with dragging either, which is always a happy surprise with lighter shades like these. 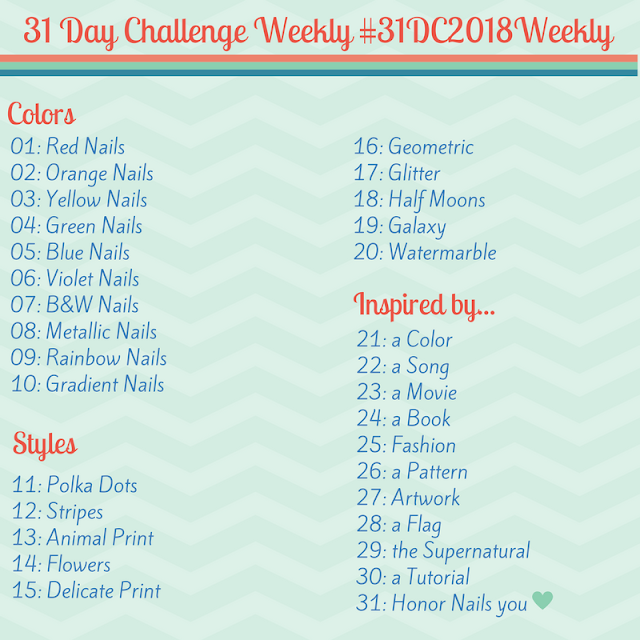 It had been a hot minute since I did any nail art, so I decided to dip my toe back into the water and simultaneously try to deliver on my earlier promise to have something fun and new and just for you from my introductory post. I taped off thin diagonal strips and did a funky french using Cult Nails Tempest. 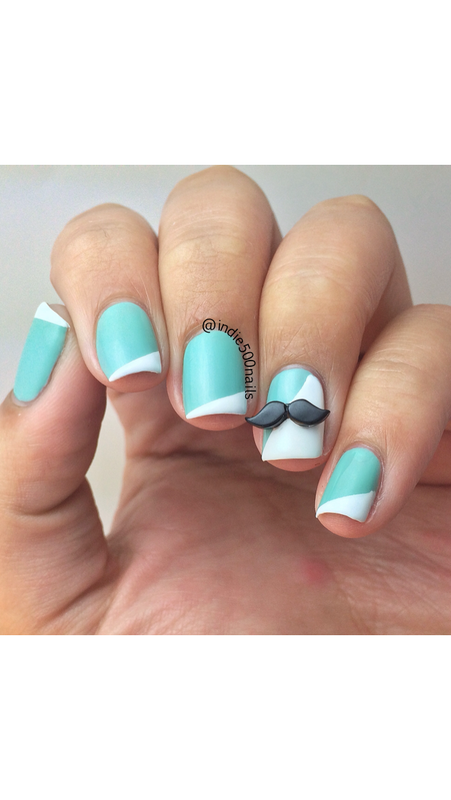 On my accent nail, I widened the stripe and then added a mustache charm from Painted Polish. Okay, that's all for now. I mustache! (*ducks so the rotten tomatoes don't hit me*). Love the swatch, love the art, love the girl! Thanks, honeybee! Mad love right back to ya!! where did you get the mustaches from????? Wow! These look awesome! You are amazeballs with your simple art!